The perfect 6th Anniversary Gift. 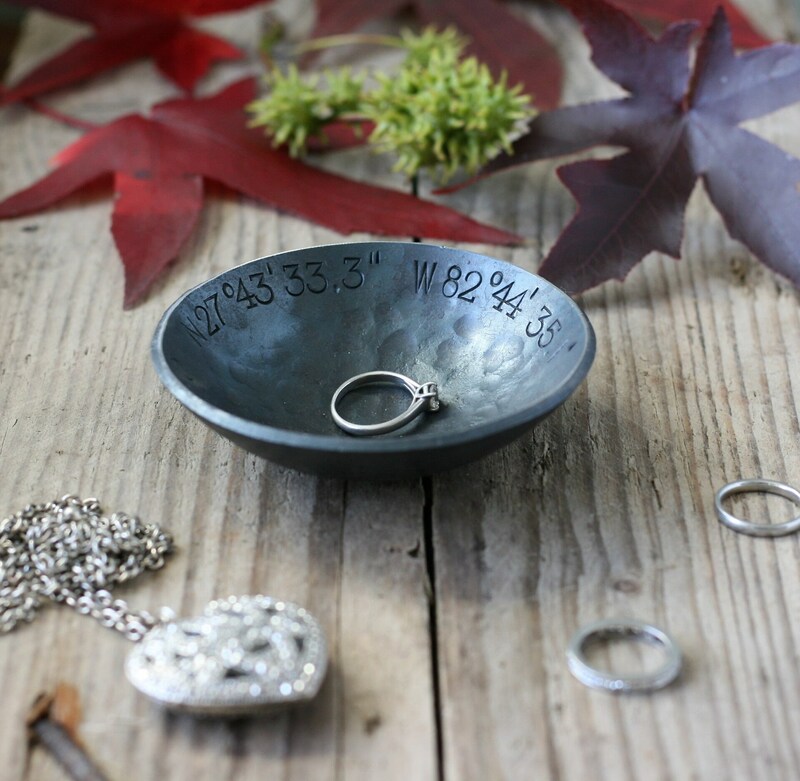 These beautiful, small Iron Bowls can be personalised with your own text and are perfect for storing jewellery, watches, wedding rings, loose change, keys... you name it! . 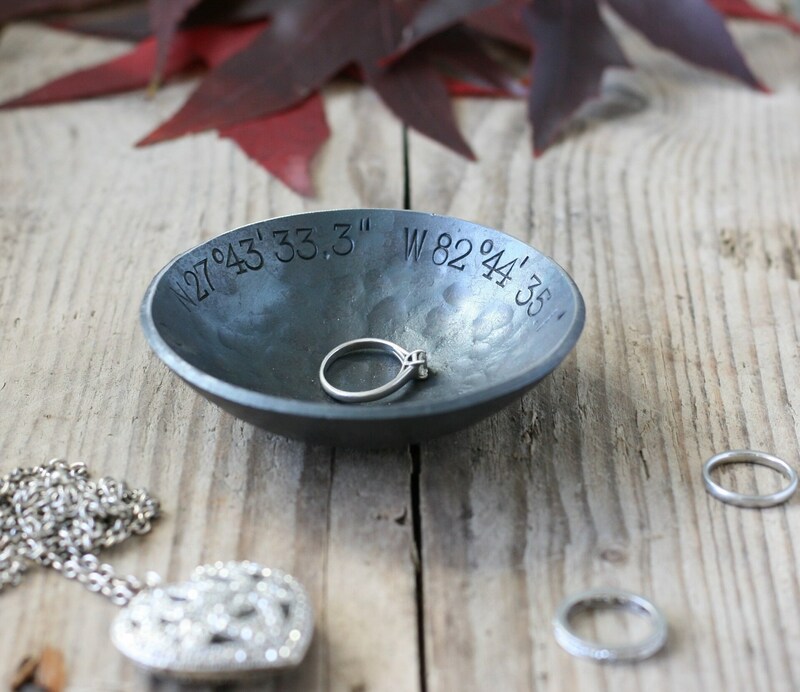 You can personalise your Bowl with those special coordinates - could be a wedding venue, or where you first met! 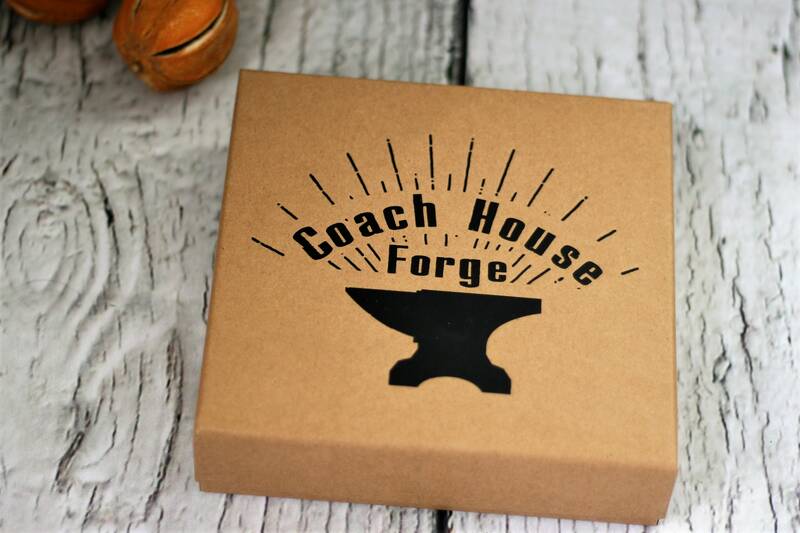 We make 4 Bowl sizes here at Coach house Forge and this listing is for the smallest which measures 92mm (3 3/4") in diameter and stands 25mm (1") high. 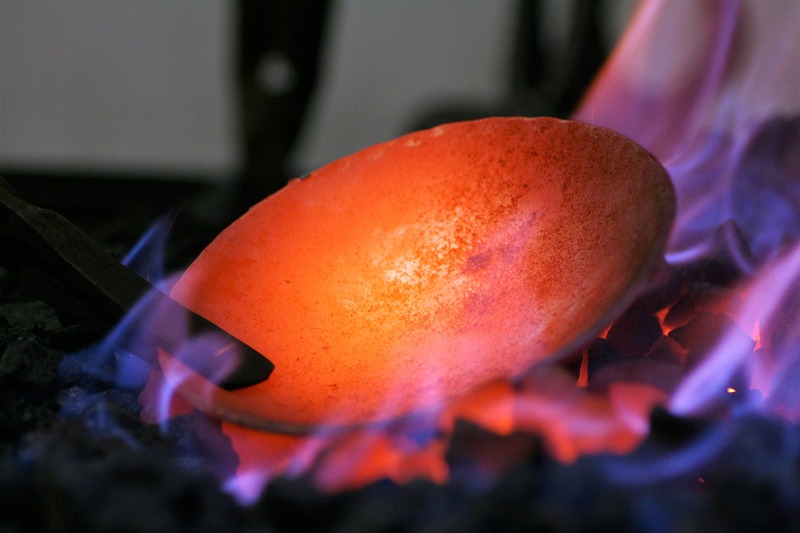 The metal is 3mm (1/8th") thick , tipping the scales at approximately 250g (1/2 Ib). These are really substantial and will last for generations! Looking for a larger bowl? 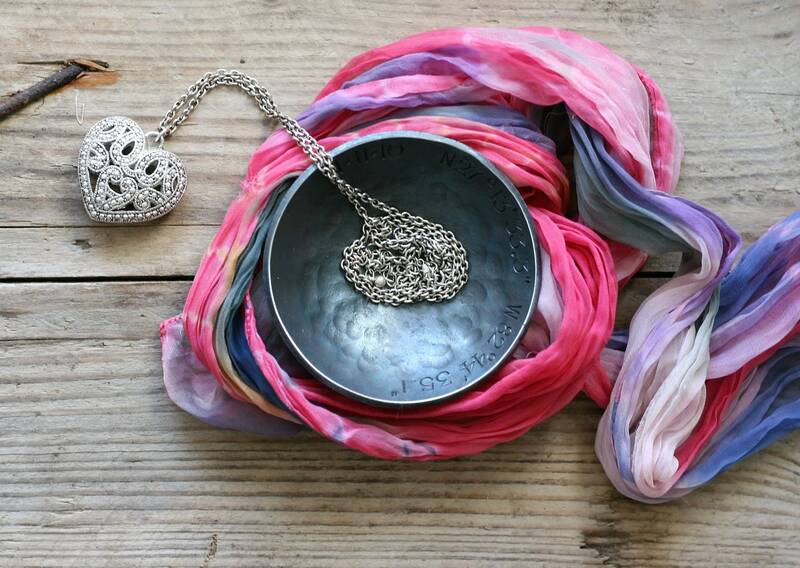 Interestingly, each bowl rings like a bell if tapped on the rim - used to announce dinner time in my house! 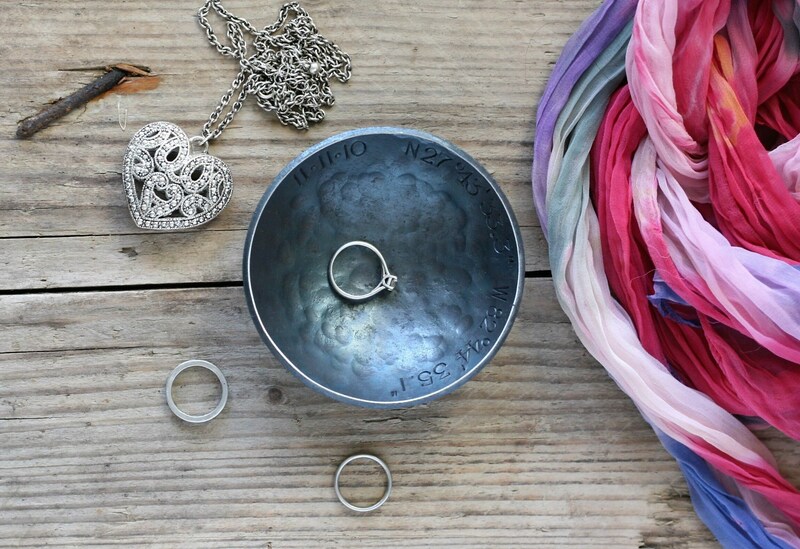 Your bowl can be personalised to create a totally unique gift for your partner, friend or colleague. We can hand stamp your message using individual vintage letter & number punches. 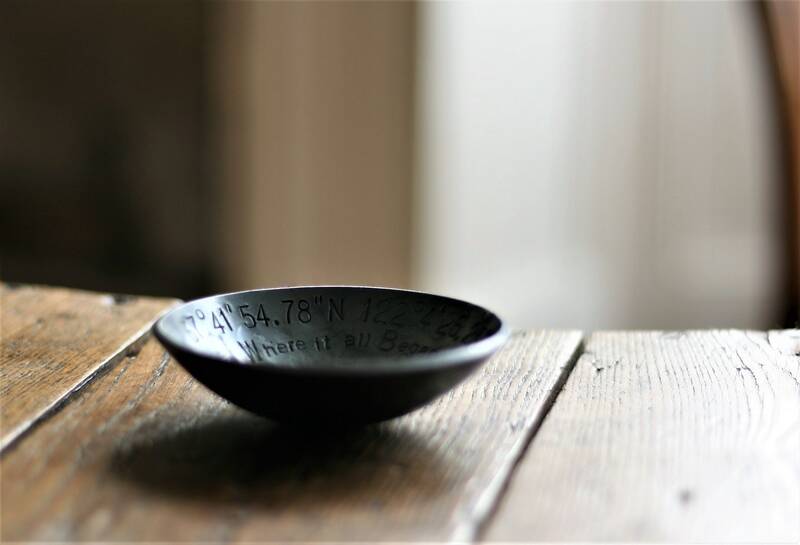 * For personalised Bowls simply compose your message and count the number of characters (you don't have to count spaces). Then select the correct option at checkout i.e. if your message has 15 characters select the 11-20 character option. A character is either one number/letter or punctuation mark. 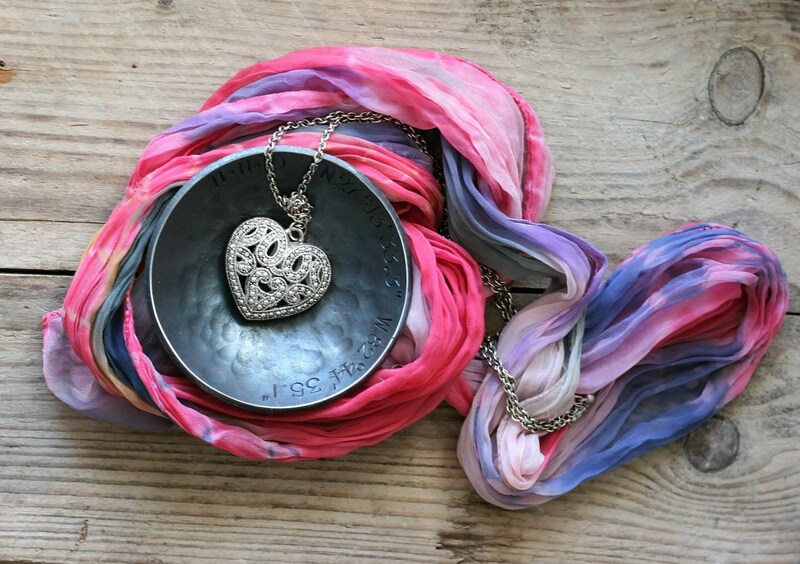 * Send me your message using the Personalisation Tab on the listing page. UK orders are shipped with Royal Mail 1st Class Service. You can upgrade to either Parcelforce Global Priority 4-5 day or FedEx Express 1-4 day - Both these services are tracked. For all other destinations please contact us for a quote. 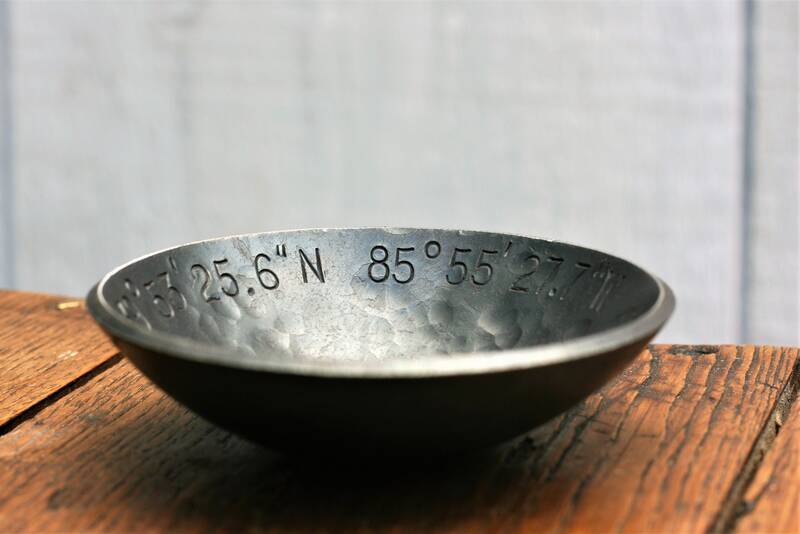 This listing is for 1 small bowl. My husband loves his gift! Thank you so much! 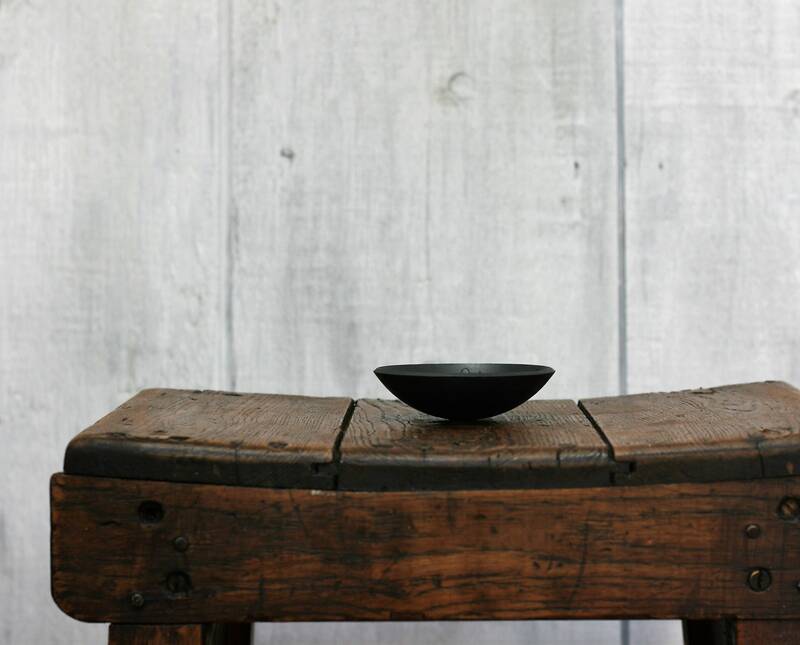 Beautiful bowl, splendid craftsmanship! It arrived in a timely matter & made the perfect anniversary gift.